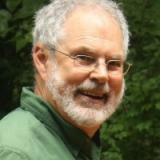 Timothy's blog on dulcimers, music, nature and life! One nice feature of the Classic iPod is that it has so much capacity that you can store tens of thousands of tracks of music and play them back in ‘shuffle’ mode --- a vast potpourri of, at least in my iPod’s case, a massive variety of genres and moods. Today my iPod cycled through into a somewhat obscure piece by the great master J.S. Bach --- Violin and Keyboard Sonata no. 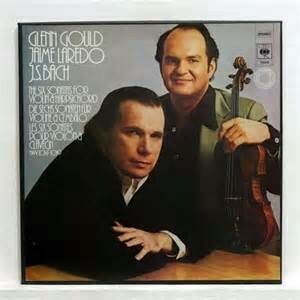 5, BWV 1018, the third movement, the Adagio, played by the inimitable masters Jaime Laredo and Glenn Gould. A drawn-out series of paired violin notes and chorded double-stops, with slow melodic arpeggios on the piano, swirling through an astonishing progression of chords, pulls us into another, surely more real, realm. The transcendent! The sublime! Perhaps this isn’t your favorite kind of Classical music; maybe it isn’t your favorite kind of music at all. But can you feel this? Can you hear the voices in the eternal realm? Can you sense the human longing for more, for truth, for real spiritual satisfaction, for…God? Even --- is that suspensive presence in Bach here an attempt to express the actual fulfillment of that satisfaction? Music sounds better in the winter! I am a musician playing primarily hammered dulcimer and flute, and have produced 15 instrumental albums on Virginia, Nature, History, Celtic, Christmas, and other themes; self-styled and original in approach, with a strong respect for sources and meanings. Lessons learned from Herb Alpert and the Tijuana Brass! A cookie is a small piece of data (usually a text file) that a website asks your browser to store on your computer or mobile device. It enables the website to remember your actions and preferences (such as login, language, font size and other display preferences) over a period of time, so you don’t have to keep re-entering them whenever you come back to the site or browse from one page to another. Most browsers support cookies, but users can set their browsers to decline them and can delete them whenever they like. Cookies can be used to collect and store user data while connected to provide you with requested services. More information about cookies can be found at http://www.aboutcookies.org. In addition to cookies that remember your preferences mentioned above, cookies are used for the purpose of purchasing items off this website, and for login and user profile details should you provide them by creating an account or signing up for the blog posts or newsletter. If you have Adobe Flash installed on your computer (most computers do) and utilize audio or video players, Google Analytics will try to store some additional data on your computer. This data is known as a Local Shared Object or Flash cookie. This helps us to analyze the popularity of our media files. Finally, this website makes use of Google Maps. Google Maps is used to provide locations for Timothy Seaman's performances. In clicking on a performance location, you can allow or deny Google Maps knowledge of your location for purposes of getting directions from your location to the event site. Your failure to control and/or delete cookies for this site constitutes your acceptance of cookies as outlined above. Copyright © 2008-2019 Pine Wind Music, Inc.